Minister of Public Health and Population Dr. Taha al-Mutawakkil said on Tuesday that more than 100,000 Yemeni children die in one year because of the Saudi-led war and the siege imposed on the Yemeni people. 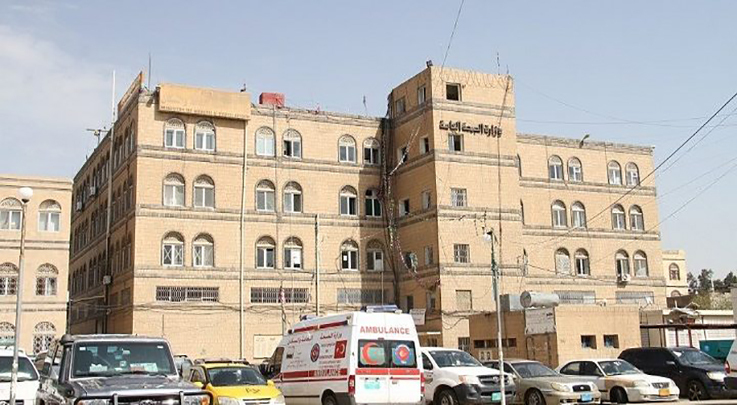 The Health Minister remarks came in a press conference held in the capital Sanaa, confirming that 50% of the health sector was destroyed and that 97% of the equipment of Yemeni hospitals exceeded the lifespan due to aggression and siege. “We’re lacking radiotherapy device to treat 40 thousand patients with cancer,” Dr. Mutawakkil said. Pointing out that the US-backed coalition prevents the entry of certain health equipment, causing the loss of Yemenis lives. The Minister of Health pointed out that the public sector and health sector employees present the Yemeni steadfastness despite the interruption of salaries and operating expenses. Dr. Mutawakkil called on international organizations not to tamper with aid and to abide by the health plan prepared according to needs. He pointed out that the MRI at the Al-Thawra Hospital in Sana’a is out of order, despite the urgent need for it in time of war, by the intransigence of aggression and the complicity of the United Nations. The minister noted that the humanitarian role of the United Nations in Yemen is not in the level of UN responsibility, pointing out that the international aid and international organizations in the health sector face a real test in 2019 and everything will be revealed to the public opinion.